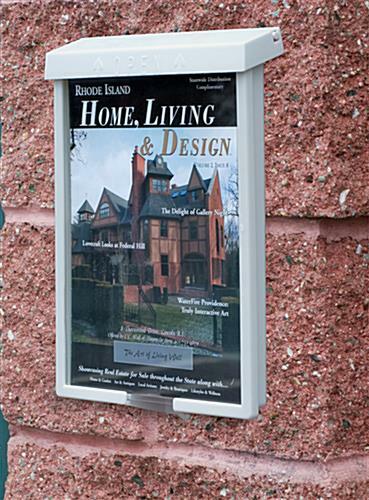 This information dispenser is the perfect outdoor literature display for real estate agents, golf courses, restaurants, or amusement parks. 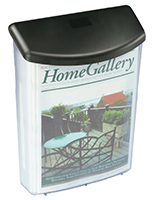 This leaflet dispenser, outdoor literature display has a clear front panel, allowing customers to see your brochure's cover fully. 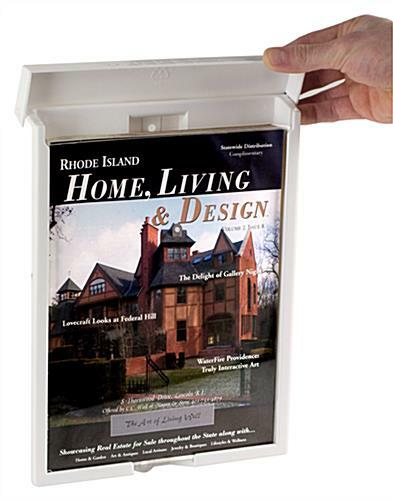 This outdoor literature display, such as a brochure holder, or information dispenser fits 8.25"w x 11"h pamphlets. 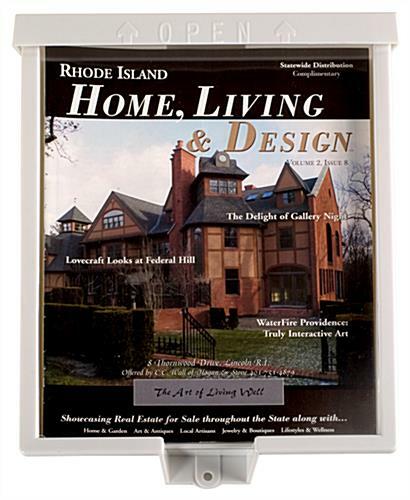 This outdoor literature display is fabricated out of durable white plastic. 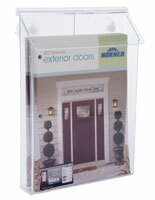 The outdoor literature display, also known as an information holder, has a hinged top lip, to protect brochures from inclement weather. 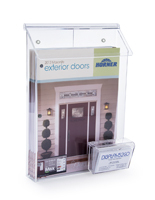 The brochure display, outdoor literature holder is semi-waterproof because there are no sealed rubber gaskets, though little, if any, water enters the pocket during rain storms. 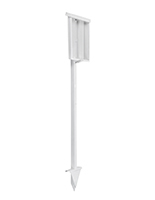 This is the most popular outdoor literature display on the market today! 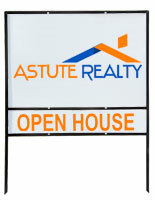 We provide this high quality outdoor literature display to you for an economical price! 32.0" x 12.5" x 1.4"
8.3" x 11.8" x 0.875"
Thanks for sharing, Julie! 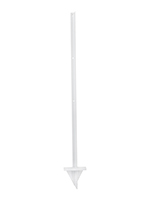 We're glad that your outdoor literature holder arrived on time, and that you had an excellent experience with us. We hope you'll shop with us again soon! Great review, George! Thanks for shopping with us! 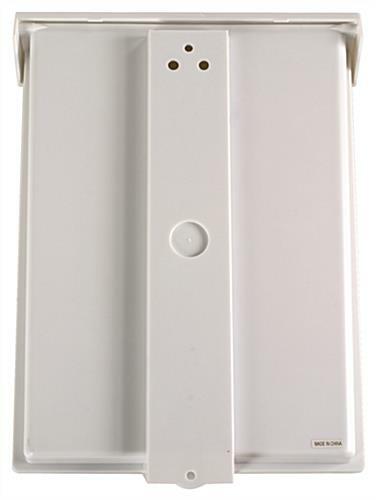 Easy to install & Displays2go had the best price compared to other sites with similar items. 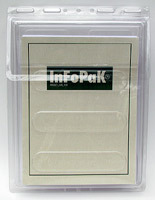 Would buy this item again when needed. display box was priced right and delivered fast! 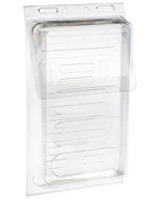 I like the product, however it is not quite wide enough. An 8 1/2 inch piece of paper gets wedged in the space ... when you have multiple pieces of paper, they get wrinkled. I had to cut one edge of the paper to make it work properly. We're sorry about that, Bob. If you would like to discuss possibly returning this item, feel free to contact our customer care team and they will be happy to assist you. They're available via phone, live chat, or email.